With this award, Marian Kazimierczuk, Ph.D., becomes the most decorated faculty member in Wright State University’s history. Throughout Kazimierczuk’s 29-year term as a faculty member in the Department of Electrical Engineering, he has amassed a record of exceptional service to the university that goes unmatched. Kazimierczuk was the driving force in the initial establishment of Wright State’s Ph.D. in Engineering Program and continues to be a lead developer of policies, focus areas, programs of studies, core courses, and various committees. 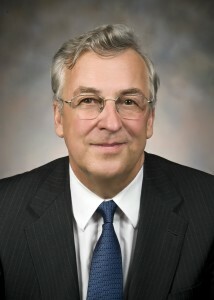 At the university level, Kazimierczuk was a member of the Faculty Senate and a member of the Senate Executive Committee, Promotion and Tenure Committee (four times), Graduate Council Committee, Research Council Committee (seven times), Outside Interest Committee, Graduate Student Affairs Committee, and Research Integrity Committee. At the college level, Kazimierczuk’s most significant contribution is in the Faculty Promotion and Tenure Committee, on which he has served 10 times. Kazimierczuk has also made significant contributions to the profession of electrical engineering in the international arena in various capacities, including as editor on numerous international archival peer-reviewed journals. He volunteers a substantial amount of his time to professional service in addition to his intensive involvement in both research and teaching.